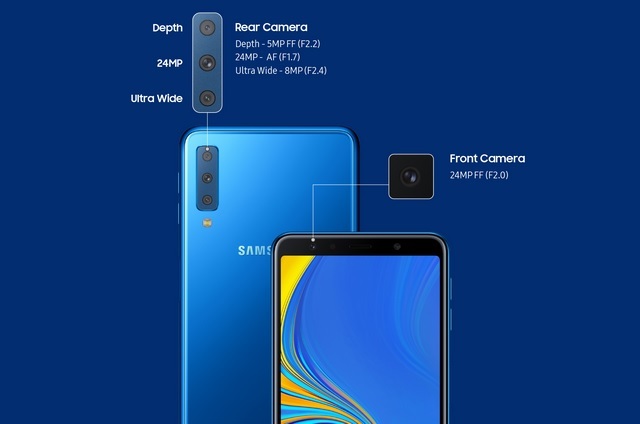 In February, DJ Koh, President and CEO of IT and Mobile Communications Division, Samsung Electronics, changed his strategy for the Indian market once he saw Chinese players getting the upper hand on innovations in some smartphone components — and camera was one of those. 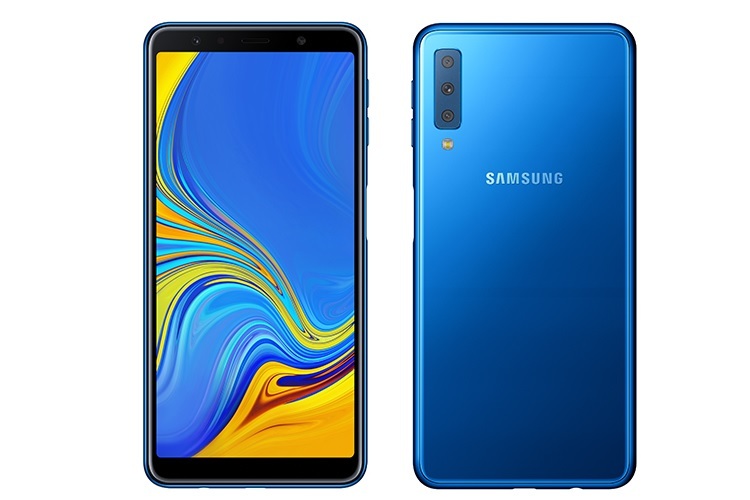 Geared up to alter the course of the mid-price segment market in India — a space that is currently flooded with Chinese variants — Koh on Thursday announced the Samsung Galaxy A7 with three-rear camera system. What is more, the next Samsung smartphone, the Galaxy A9, will bear a monster four rear camera system. The Galaxy A7 will be strategically priced below the Rs 30,000 price segment for India — a space currently dominated by the likes of Xiaomi. On October 11, Samsung will launch their first four rear camera system device Galaxy A9 in the premium segment (above Rs 30,000). The triple camera system in Galaxy A7 has a 24MP AF lens, an 8MP “Ultra Wide” lens (F2.4) and a 5MP “Depth” lens. With the 24MP lens and Depth Lens, the Galaxy A7’s “Live Focus” feature lets users control the depth of field by allowing them to adjust the “bokeh” effect for better photos. “This is a good move by Samsung. Being a vertically-integrated company, it will look forward to leverage its strength in semi-conductor segment by bringing in new features to its consumer products, including smartphones,” Tarun Pathak, Associate Director at Counterpoint Research, told IANS. “As Chinese players continue to be aggressive, Samsung needs to reduce the time within which it packs features in smartphones and bring those to the end users,” he suggested. Koh started working on the new game plan for India earlier in 2018. “You will see devices coming from us in the mid-segment space with flagship features and functionalities that will delight our customers in India,” he said on the sidelines of Samsung’s Galaxy Note 9 launch in August. According to Jaipal Singh, Associate Research Manager, Client Devices, IDC India, entering the smartphone camera war is a strategic move on Samsung’s part. “This is important especially when camera is deciding a level-playing field for most of the players. Camera is now the focus for building Artificial Intelligence (AI) use cases and players are doing a lot around camera, like Huawei that brought P20 Pro with triple rear camera system this year and received rave reviews,” Singh told IANS. Samsung dominated the premium smartphone segment in India in the first half of 2018 with almost half the market share, said a CyberMedia Research (CMR) report last week. Samsung (48 per cent) was followed by Chinese smartphone player OnePlus, which grabbed the second spot with 25 per cent share, and Apple with 22 per cent share. One in two premium smartphones shipped in the first half of 2018 was a Samsung device. Koh has now doubled down on his efforts to dominate the smartphone camera war in India. “Samsung has been doing well in the premium segment with respect to bringing innovative features in India. With a new triple camera smartphone, it has signalled that these features can be brought faster into the mid-price segment than the competitors,” Pathak noted. “It is a good move from Samsung to tap into the camera territory,” added Singh.